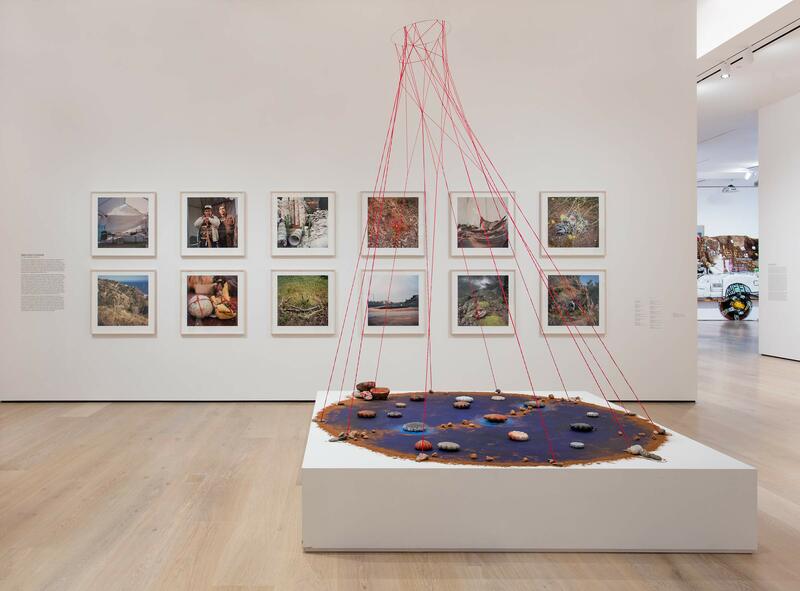 Mercedes Dorame uses photography as a way to explore, reimagine, and connect to her Gabrielino-Tongva tribal culture and bring visibility to contemporary indigenous experience. The Tongva were the first people in what is now Los Angeles, and their territory covered the expanse from Malibu to San Bernardino to Aliso Creek. They have inhabited the Los Angeles basin for over eight thousand years and were officially recognized as an indigenous tribe by the state of California in 1994. Yet they still are not recognized federally, which means that as a collective group they have limited access to federal funding and no designated reservation land. For Made in L.A. 2018, Dorame has intertwined two bodies of photography and created a sculptural installation. The first series centers on her non-Native American grandparents’ home in the hills of Malibu, where she spent a great deal of her childhood. 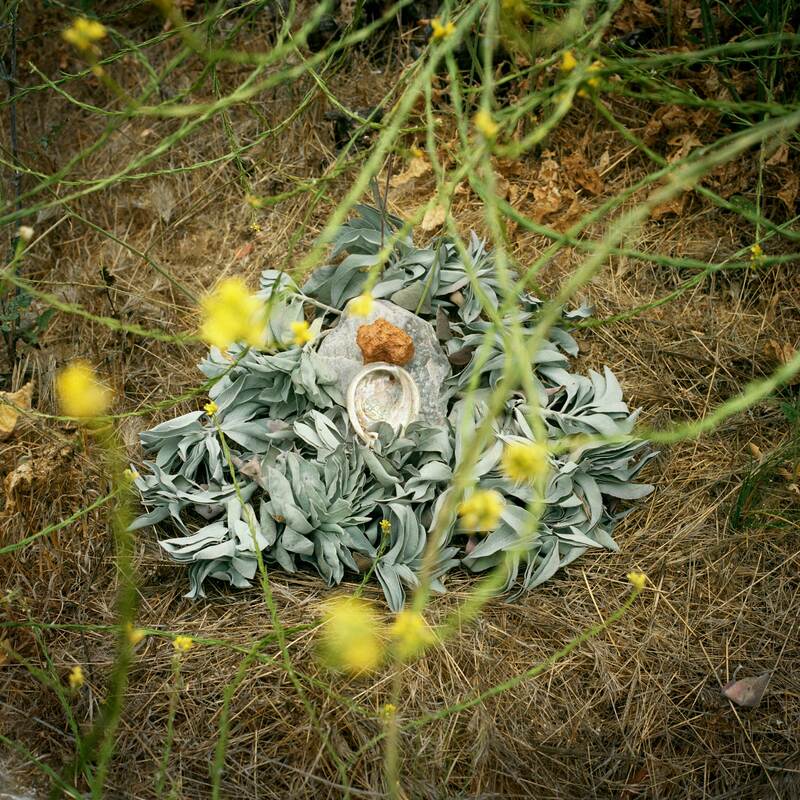 She activates this site, which was originally Tongva land, using organic materials, such as sage, ochre, cinnamon, feathers, quartz, and the skins of coyotes and foxes—materials that are traditionally used in ceremony and ritual—to create moments of vitality. Her second series of photographs documents her time as a cultural resource consultant. Cultural resource consultants are Native people hired to identify and sometimes remove artifacts, materials, and even mass burial sites in areas that are in the midst of construction and development. Dorame has often worked in this capacity with her father, who is a prominent elder in the tribe (pictured on the right in My Relatives I Sing for You—Nehiinkem, Če’ee’axre). Mercedes Dorame (b. 1980, Los Angeles, California) works in Malibu, California. Dorame received her BA from University of California, Los Angeles, in 2003, and MFA from San Francisco Art Institute, in 2010. 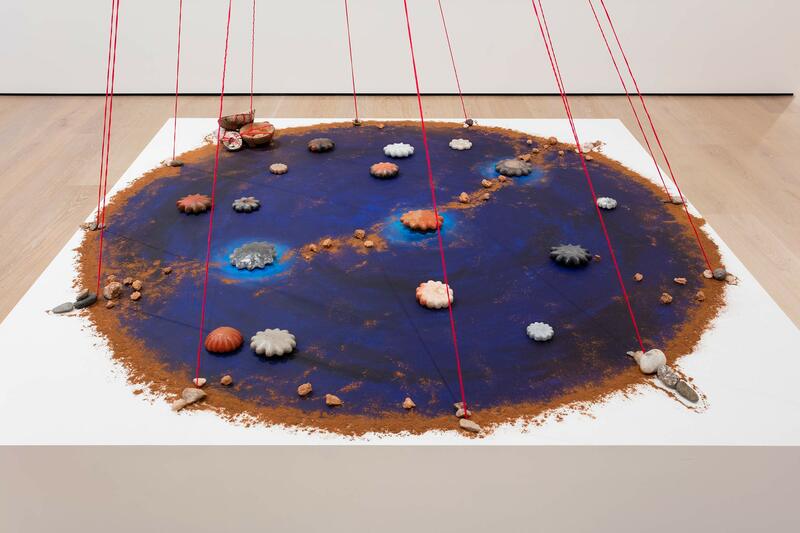 Her work has been exhibited at the Fine Arts Gallery at San Francisco State University (2016); Thatcher Gallery, San Francisco (2015); Armory Center for the Arts, Pasadena, California (2014); Phoebe A. Hearst Museum, Berkeley (2012); California Indian Conference, Chico (2011); and Diego Rivera Gallery, San Francisco (2010), among others. She is a recipient of the James D. Phelan Award in the Visual Arts from the San Francisco Foundation (2017), En Foco’s New Works Photography Fellowship (2012), and Harpo Foundation Fellowship (2011).